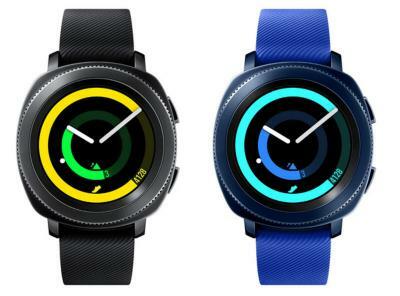 Samsung's Gear Sport is a Tizen OS sport-oriented smartwatch that features a 1.2" round Super AMOLED display (360 x 360), a dual-core 1Ghz chipset, 768 RAM and 4GB of storage, built-in GPS, several sensors and a 300 mAh battery with wireless charging. The Gear Sport is shock-proof and water-resistant up to 50 meters. Samsung did not detail the price or release date of the Gear Sport yet.